A spacious 3-bedroom, 2-bathroom holiday home with room to sleep 8, located in the Haven flagship 5* Rockley Park Holiday Park. AA Holiday park of the year 2017. With a secluded garden and less than 200 meters walk (no hills) to the entertainment facilities, restaurants and pools etc. this holiday home is set in one of the best locations in the park. With its very own Rockley sands beach just a short walk through the park, taking in Ham Common nature reserve and views of Poole harbour and beyond from all over the park it is a truly stunning location. Friendly pets are welcome ay Lazy Bear and the onsite beach has no restrictions for dogs. Fully equipped kitchen with full size fridge freezer. All amenities for a self-catering holiday are provided within the holiday home. Bed linens and towels can be provided for £10 per person per stay. Parking for 2 or 3 cars next to the holiday home. Entertainment passes can be purchased from the main reception, these will give you full access to the facilities for the duration of your stay. Indoor and outdoor heated pools, crazy golf, soft play, splash zone, water sports center, multi sports range, 3 outdoor play areas, kids club and even a luxury Spa for the adults. Local shop, fish and chips, Papa Johns and 2 restaurants onsite. A number of take away options delivered direct to the holiday home and even a Tesco groceries delivery available. 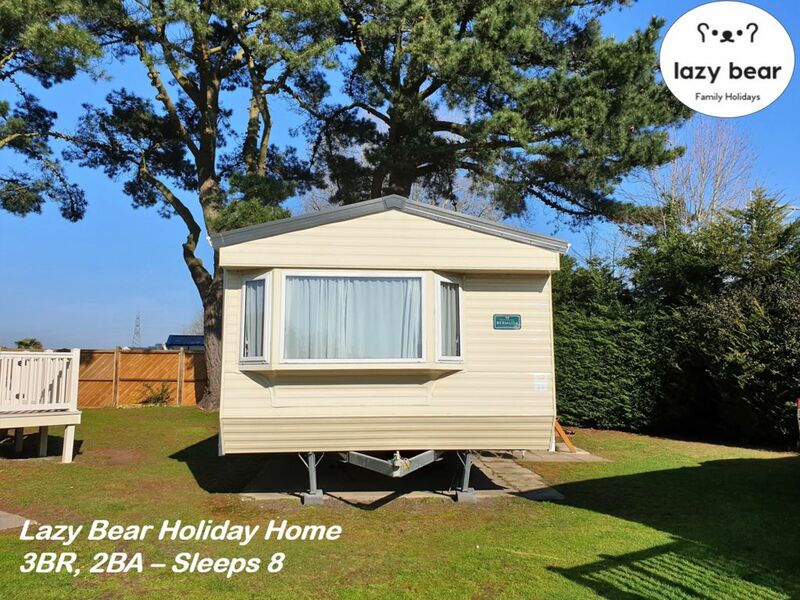 Great park and nice dog friendly caravan. Very pleasant owners who were very helpful throughout our stay.